Runners, weight lifters, and athletes of all stripes looking for the best training shoes for their workout struggle with comparing features to find a shoe that’s comfortable, breathable, and optimizes their athletic pursuits. The best cross training shoes fit comfortably and offer support with restricting movement. Read on for our top five picks for the best workout shoes to meet your needs. Breathable mesh makes these cross-training shoes lightweight and quick to dry whether you’re sweating or running in wet conditions. Beyond the gym, these versatile shoes look good enough to wear after your workout too. A memory foam insole gives support and shock absorption. The mesh top lends breathability, and the aesthetic design makes these shoes a top pick for daily wear in addition to a variety of workouts. Lightweight construction and a flexible sole allow these shoes to adapt to your feet while cushioning as you run, lift, or lounge. At the lower end of the cross-training price scale, Champion offers a low-cost shoe that gives standard features and optimal comfort. Also a Champion Women’s Gusto Cross Trainer with similar features. Inner memory foam insert supports arches and gives cushioning during your workout. While they may fit snugly on the first wear, breaking them in doesn’t take long. Memory foam insole with structured arch support reduces strain during running or other high-intensity activities. Synthetic leather gives limited breathability, but upper mesh and top vents allow airflow. Mid-weight shoe conforms to your feet and moves with you. The mid-price point of these shoes falls between comparable shoes with similar features, making them a good value overall. 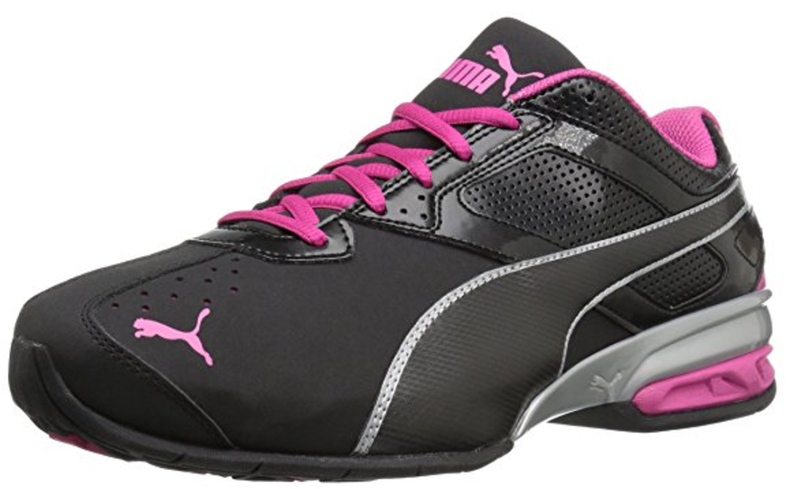 A high-top style shoe with trendy color options, PUMA’s Fierce Bright cross trainers hug feet in all the right places for a comfortable workout whether you’re in the gym or on the trail. Medial and lateral support give the shoe structure and accommodate 360-degree movement. Fabric construction gives moderate breathability. Slip-on design is supportive without constricting natural movement. These mid-priced shoes offer a unique feature (no laces) and a snug fit that doesn’t sacrifice structure, so these shoes are a good value for the cost. A heel-pillow insert and supportive uppers make New Balance’s Men’s cross trainer a comfortable option for sports and everyday wear. Lightweight and cushioned, these cross trainers give a streamlined and utilitarian look. A leather upper and fabric tongue mean less airflow than mesh material, but air vents help cool warm feet. A thick sole makes these shoes less flexible than other similarly ranked options, but also makes the shoes more durable. Mid-range pricing lets New Balance’s cross trainers compete with shoes that have similar features. A rubber sole and knitted upper plus heel support strap make PUMA’s Ignite Evoknit cross trainers a feature-rich contender. 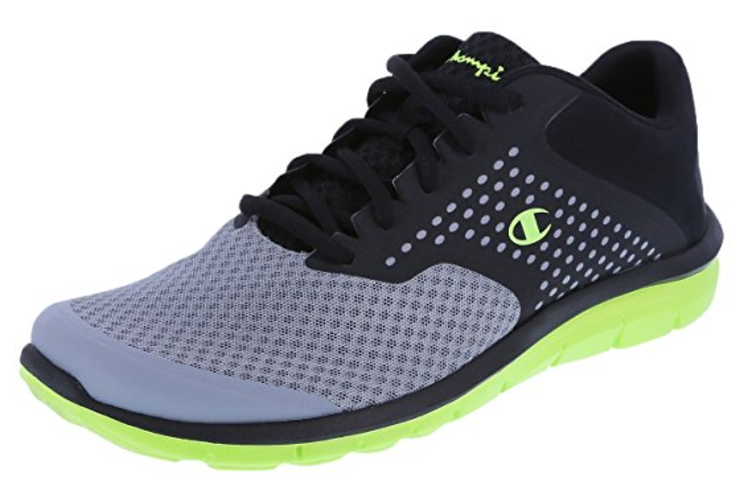 For the gym and the street, color options let you add style to this athletic shoe. Foam insoles form a soft foot bed while the rubber sole gives strong support. A knitted upper fits feet snugly but fabric construction means adequate airflow. Color options let you customize the aesthetics. A thicker sole means less flexibility overall but forms a shock absorbing layer. At mid-price range for cross trainers of this quality, PUMA’s Ignite Evoknit delivers optimal features and comfort. When looking for the best workout shoes regardless of your preferred sport or activity, it’s easy to get caught up in price as a deciding factor. However, choosing a shoe based on the fit and features is the most important advice we can give for finding the best training shoes for your unique athletic challenge. Durability and shock absorption are key measures for finding cross trainers that deliver. For runners, shock absorption can affect the comfort of your run. For weight lifters, a cushioned shoe might impede a lifter’s balance and ability to bear down effectively. If you’re a trail runner, you’ll likely want a shoe that’s close to waterproof. Conversely, athletes whose workouts take place in a gym will seek the highest breathability available. Comfort is also key since no athlete has the time to recover from blisters or chafing. Another component of choosing the best cross trainers is deciding how thick of a sole your sport requires. Runners might want a thicker sole when running on hard surfaces, but other athletes may prefer a more flexible sole that’s thinner. While not the ultimate deciding factor, style and aesthetics are part of the decision-making process when looking for cross trainers that suit your workout. Many athletes want shoes that do double duty as both workout shoes and street wear, so keep that intent in mind when comparing cross training shoes. Lastly, cost considerations may also affect your buying preferences. For serious athletes who want to invest in their physical performance, spending a little more on a feature-rich pair of cross trainers makes more sense than someone new to the gym going all-out on their first pair of athletic sneakers. On that same note, since all feet are different and every athlete balances differently, one pair of cross trainers might suit one athlete perfectly but not fit another athlete at all. Thankfully, our comprehensive guide to the best running shoes covers all the bases for comparing features.